“Spolia” is a word I use very frequently when guiding groups on our escorted tours. As an archaeologist, I consider it a household item, an oft-used word describing a very common phenomenon. At the same time, I have to explain the term at least once per tour, as it is hardly familiar to “normal people”, i.e. non-archaeologists. 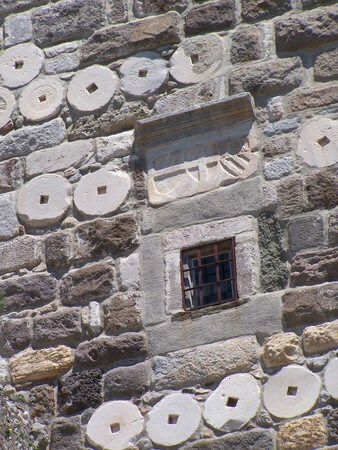 Not that it is hard to explain: spolia are simply recycled bits of buildings. Recently, I was reminded of how central a thing spolia are to many of the sites we visit, and of how fascinating I find them. A few weeks ago, the city of Ventura, California, celebrated the centenary of its City Hall (opened as a courthouse in 1913). I would never have learnt of that event if it weren’t for the fact that the festivities included the unveiling of a commemorative sculpture by Matthew Furmanski, incorporating terracotta slabs from the original building and called “Spolia“. That made me very happy: Furmanski and his family were among the guests on one of the first tours I ever led for Peter Sommer Travels, a private Ephesus cruise in modern Turkey. And that’s where they first came across the concept of spolia. 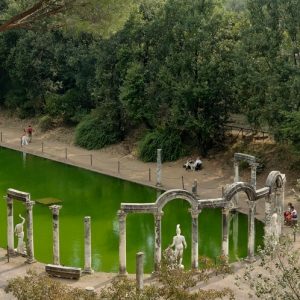 So, what exactly are spolia? The term is used in archaeology and art history. 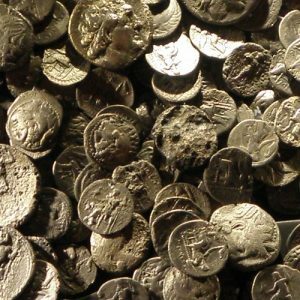 It is derived from Latin “spolium” (plural: “spolia“), meaning “spoils” (as in “spoils of war”), booty or loot. What it describes is simply the reuse of elements from earlier buildings in more recent ones, most typically the reuse of Greek or Roman architectural sculpture in Early Christian or medieval structures. 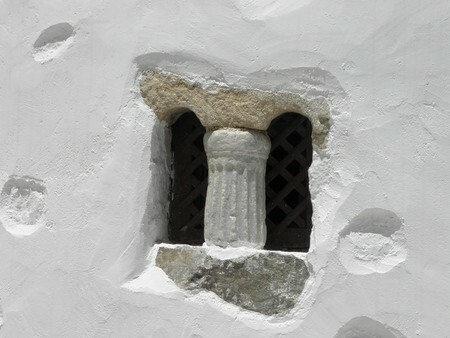 On our tours, we keep coming across spolia, because in the Eastern Mediterranean, they are found on virtually every ancient site that was used or inhabited for a long time. That’s because spolia are a simple function of people using the same locations throughout and beyond the ages. The more successful a site, i.e. the longer it lasts as a focus of human activity, the more likely are there spolia. There are, essentially, two basic reasons for the occurrence of spolia. The first is simple. As people build something new, they need material. If there are unused, abandoned, ruined, or undesirable older structures around, they make for wonderful quarries, providing good quality pre-cut stone slabs, thresholds, lintels and so on. Why go to the effort of sourcing, cutting and transporting new building materials when they are available locally? This is probably the underlying process behind the vast majority of all spolia. The “classic” example of this is found in defensive walls, often thrown up fairly rapidly in times of stress, and frequently using whatever material would have been conveniently available at that moment in time. But it also applies to other buildings of all kinds, where people clearly made use of pre-existent cut stone that was, quite simply, better than what they could produce and therefore made a highly desirable contribution to their highly valued creations. The second form of spolia is more complex and much more varied. It is the deliberate and visible use of impressive carvings in later buildings. The underlying notions form a broad spectrum: material can be reused for aesthetic reasons, simply because it looks nice or impressive, for ideological reasons, to aggrandise the new building, denigrate the previous one or to convey meaning from one to the other, even reinterpreting the material in that process. 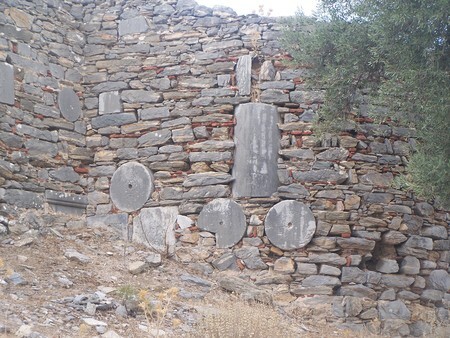 A great example of this practice is the “Little Metropolis” in Athens, a 12th century Byzantine church, relatively conventional at first sight, but built nearly wholly of reused slabs from earlier buildings, some of them pagan, others Early Christian. Its use of older material is careful and deliberate and consciously creates an entirely new ensemble, cutting across time, “christianising” some Graeco-Roman material, at the same time showing off and subjugating the city’s long history. Of course, it is not always possible to categorise the underlying reasons leading to spolia so neatly. 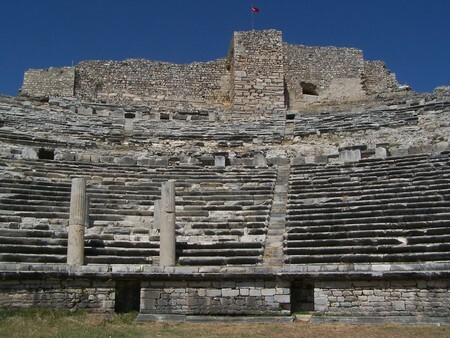 For example, the great castle at Bodrum, built by the Knights of Rhodes in the 14th century, incorporates more or less the entire material of the famous 4th century BC Mausoleum, one of the Seven Wonders of the Ancient World. Surely, the reasons for its demolition and reuse were predominantly practical, but it is difficult not to also see the Knights making a point by visibly subsuming a vast pagan monument into their Castle of St. Peter (a similar argument can be made just across the sea, at the Knights’ castle in the island of Kos). For us moderns, spolia are in many ways an alien concept. Our new buildings are mostly made of poured concrete, an ever-fresh (and quickly aging) material, often clad with freshly quarried rock or newly baked brickwork. Further, we consider the despoliation of earlier structures more or less a sacrilege: after all, we strive to protect cultural heritage. Not so for our forebears, who took a more practical approach and who did not draw the line between a virtually untouchable static “heritage” and a dynamic present that we do. So, when we find ourselves judging the “careless” reuse of ancient architectural sculpture in medieval structures as deplorable and disrespectful, we need to keep in mind that any such judgement is ahistorical. Spolia are not an undesirable side-effect of history. They are a reflection of how human creativity and effort resound through the ages. We all accept that visual artists, writers, poets or musicians, even scholars, build their creations on the works of those before them, often incorporating and “reusing” their source material. In a more practical way, spolia did the very same thing. 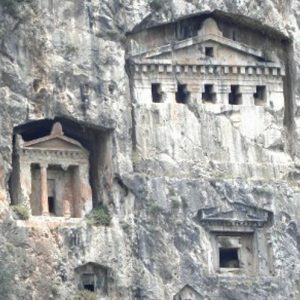 For us, they are a tangible, instructive and thought-provoking feature of ancient sites, a hands-on demonstration of the palimpsest that is human history. 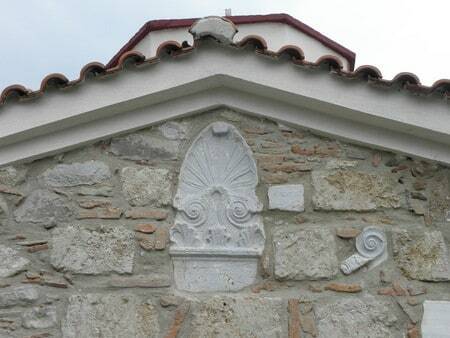 Never noticed spolia before? You can see examples on all of our escorted tours.